SATURDAY, Dec. 9, 2017 (HealthDay News) -- Coming just days after reports of a gene therapy that pushed the bleeding disorder hemophilia B into remission, new research suggests the same could be true for adults with the "A" form of the disease. That's significant because, due to the complexities of the gene responsible for hemophilia A, experts had thought it might be far more resistant to gene-based treatment. But in the new British trial, all 13 adult patients with hemophilia A were able to go without preventive injections of a blood-clotting factor that they'd needed almost weekly, researchers report. The study was led by Dr. K. John Pasi, hemophilia clinical director at Barts Health NHS Trust in London. Ten of the 13 patients experienced no bleeding incidents requiring transfusion, the team said. And that improvement began a month after the one-time gene therapy and continued over 18 months of follow-up. Pasi's group was scheduled to report the findings Saturday at the American Society of Hematology annual meeting, in Atlanta. Hemophilia A affects over 20,000 Americans; it is the more common form of hemophilia. The results "exceeded our expectations," Pasi said in a meeting news release. He explained that people with hemophilia have a genetic flaw that renders them incapable of producing a key blood-clotting factor, called factor VIII. However, after receiving the new therapy, "many clinical trial participants have seen factor VIII levels at or close to normal," Pasi noted. The breakthrough -- if it lasts over the long-term -- could be a game-changer, he said. The treatment "has the potential to improve the lives of patients who must now infuse themselves with factor VIII as often as every other day," Pasi explained. If the results bear out in larger, longer trials, he said, "it may be possible for hemophilia A patients to reduce or eliminate factor VIII treatment over an extended timeline." One hematologist agreed that the technique could be groundbreaking. "This strategy promises to be the only 'cure' for hemophilia A patients who can hope to be free of their bleeding symptoms without the use of clotting protein replacement into their veins," said Dr. Suchitra Acharya, who directs the Hemophilia Treatment Center at Long Island Jewish Medical Center, in New Hyde Park, N.Y. The findings follow news of another study, published on Wednesday, that found a similar approach helped 10 men with hemophilia B go without standard treatments. That study was led by Dr. Lindsey George, of the Children's Hospital of Philadelphia. Both studies were published in the New England Journal of Medicine. In both trials, doctors used a harmless virus to introduce into the patient's body a functional copy of the gene responsible for producing factor VIII -- a gene that's defective in people with the disease. 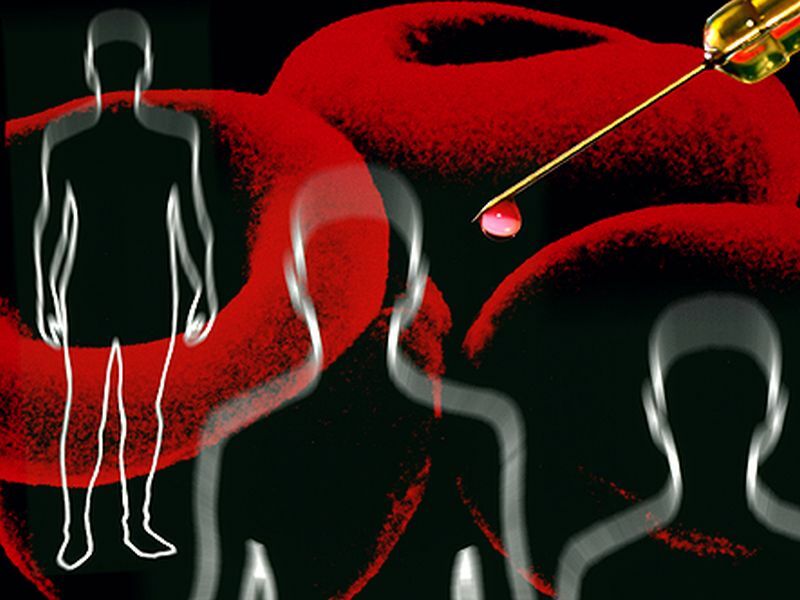 In the hemophilia A study, the men received either a high- or low-dose of the gene therapy. Five months after receiving the treatment, people who got the higher dose achieved factor VIII levels that settled out at the normal range; while three of the patients who got the lower dose achieved that level by 8 months after treatment, the findings showed. And while other gene therapy trials have sometimes been plagued by adverse immune system reactions in recipients, there was no evidence of that in this trial, Pasi's group noted. Still, the researchers stressed it's too soon to draw conclusions about the long-term safety of the treatment. This DNA-tweaking approach likely won't be cheap, either. The few gene therapies in use around the world typically cost between $400,000 to $1 million for each treatment. The hemophilia A study was funded by drug company Biomarin Pharmaceuticals. In another potential breakthrough, researchers also plan to report at the hematology meeting on Saturday that a drug called emicizumab appears to free children with hemophilia A from serious "bleeding events" requiring treatment. Young people with the disease often experience painful bleeds, especially within the joints. That trial was led by Dr. Guy Young, of Children's Hospital Los Angeles and the University of Southern California. His team tracked outcomes for 60 kids, all between the ages of 1 and 12, for an average of nine weeks. The researchers reported that only three of the children experienced a bleeding episode that required standard treatment after receiving emicizumab via injection. "Before this drug, we didn't have very effective ways to prevent joint bleeding in these patients," Guy said in a meeting news release. But the new medicine has "been life-changing for the children I've treated," he added. No safety issues were observed, but because longer-term safety concerns can't be ruled out, his group plans to follow the children's progress for another year. The study was funded by emicizumab's co-developers, Roche and Genentech. Research presented at meetings is considered preliminary until published in a peer-reviewed journal.